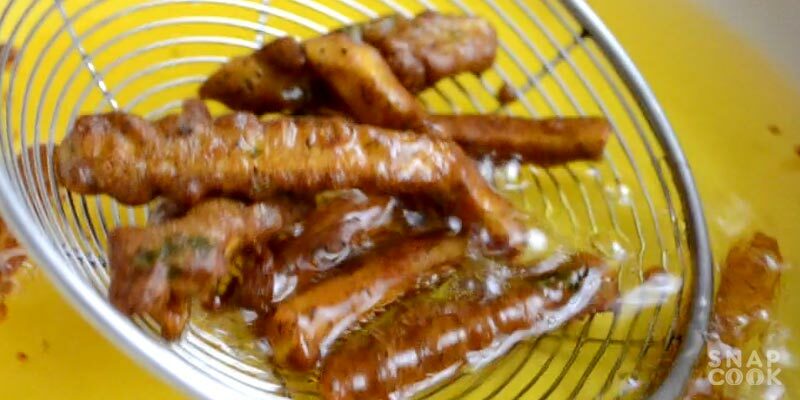 kuttu ke atte ki pakode – vrat ke pakode – french fries recipe. 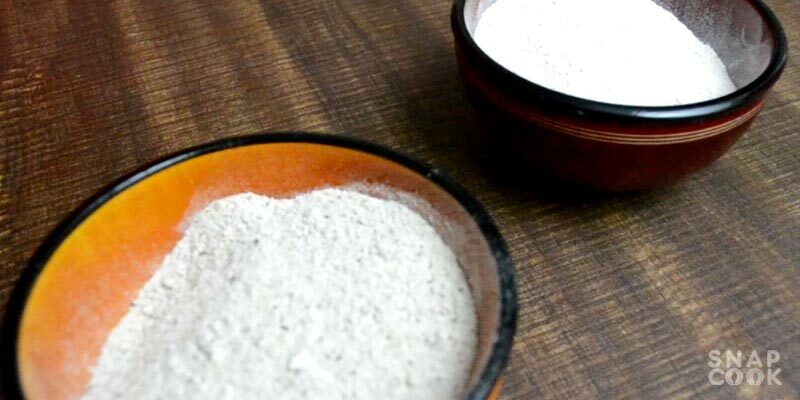 how to make vrat ke pakode using kuttu atta. 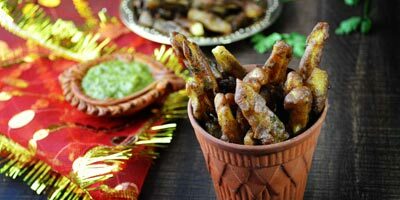 Kuttu ki pakodi as vrat snacks recipe. No matter what day it is we all need snacks daily, in some or the other form. In regular days its easy to have any snack but during vrat days its hard to find some tasty options. French fries are always my favorite tea time snack. Its easy to make and ready to go anywhere kinda snack. When we say french fries, only thing we can visualize is the all time hit mcdonalds french fries. 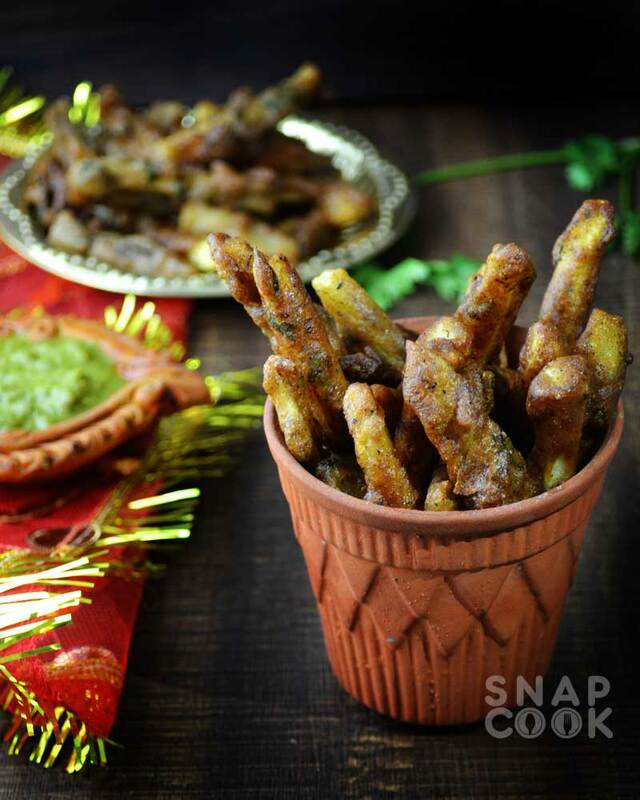 Let’s make everyone’s favorite french fries for Vrat days. 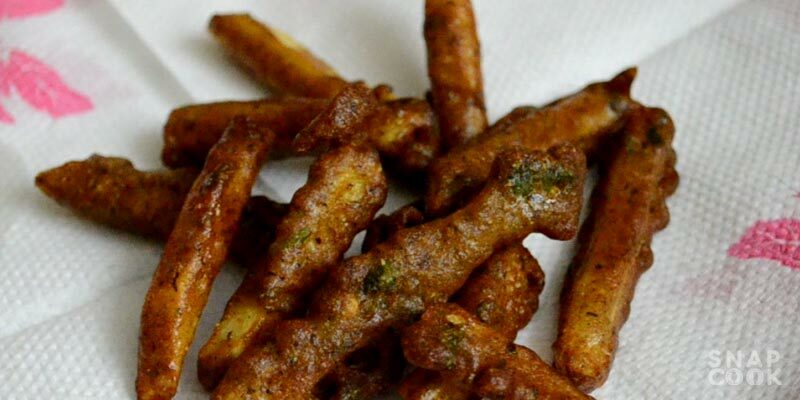 These are conventional vrat ke pakode or kuttu ke pakode made in french fries style. 1- Potatos – 3-4 medium size. 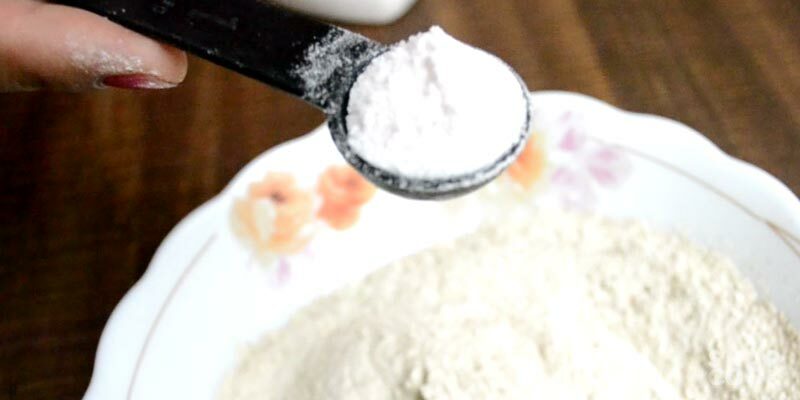 3- Singade ka atta – 1/2 cup. 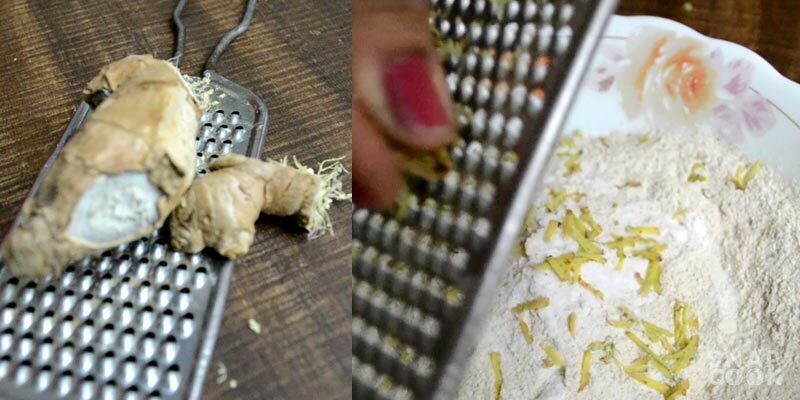 4- Ginger (grated) 1 Tbsp. 5- Sendha Namak- 1 Tsp. 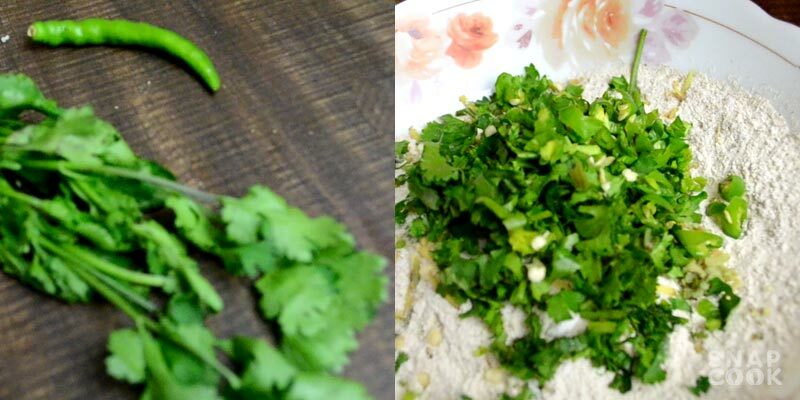 6- Coriander(chopped) – 1/4 cup. 7- Green chilies(chopped) – 1 small size. 8- Oil for frying – 2-3 cups. 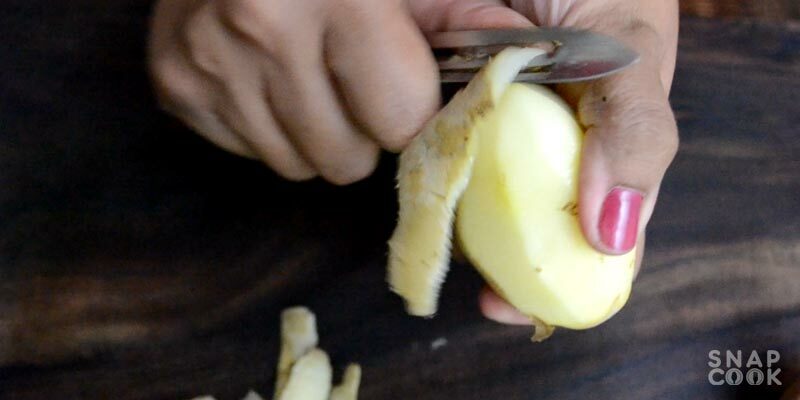 1 – Peel the potatos. 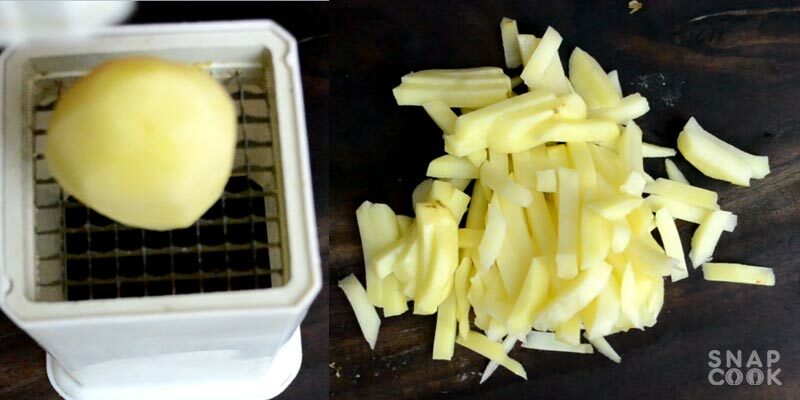 2- Use a french fries cutter or just cut slices using knife. 3- Mix kuttu atta and singade ka atta in a bowl. 4- Add 1 Tsp Sendha namak in it. 5- Add Grated ginger 1 Tbsp. 6- Add chopped coriander and green chilies. 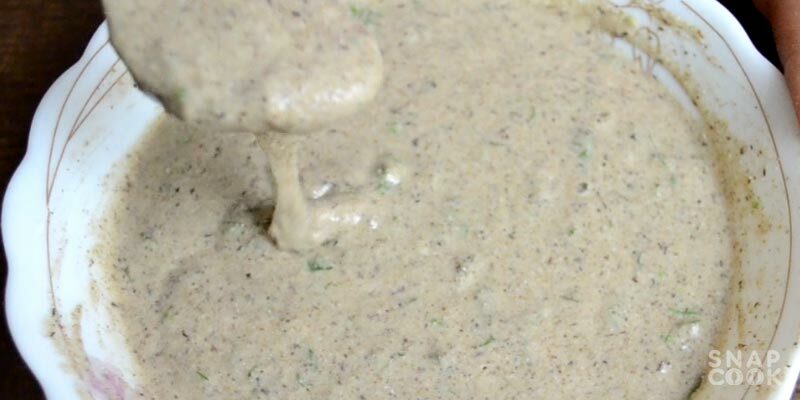 7- Add water in the mixture gradually and stir to make a thick batter. 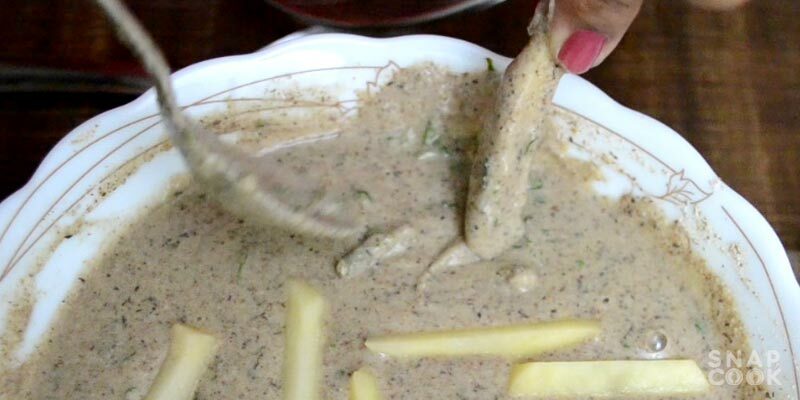 8- Add potato slices in the mixture. 9- Deep fry the potato strips in oil. 10- Drain the pakodas on an absorbent paper. Our Kuttu atta vrat ki pakodi are now ready. Serve it with chutney or hot tea /coffee.